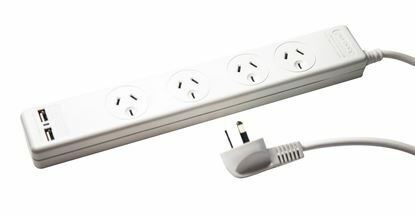 JACKSON 4-Way Protected Power Board , 2x Ports are double spaced. JACKSON 4-Way Protected Power Board , 2x Ports are double spaced. 2x USB Outlets, 1m power cord. 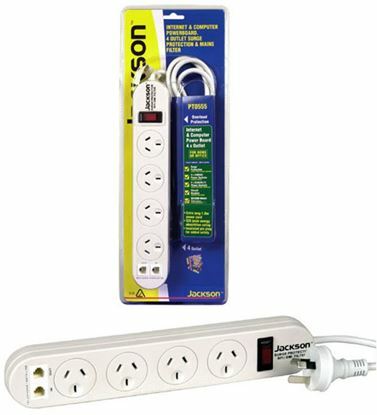 JACKSON 8 Outlet Powerboard with Heavy Duty Metal Housing, Surge JACKSON 8 Outlet Powerboard with Heavy Duty Metal Housing, Surge Protection, RFI Filtration. Wall Mountable. 2 spaced outlets. 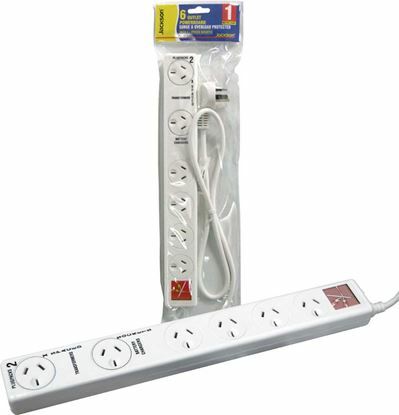 JACKSON Vertical Double Adaptor with 4,500A Surge Protection. 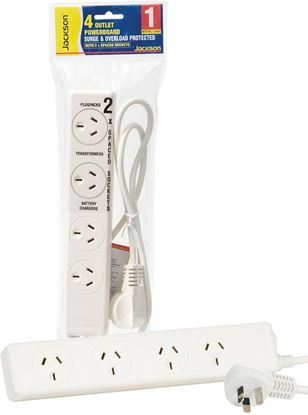 JACKSON Vertical Double Adaptor with 4,500A Surge Protection. JACKSON 0.9m 4-way mountable power block. 2x USB-A (fast charge 2.1A). JACKSON 0.9m 4-way mountable power block. 2x USB-A (fast charge 2.1A). Overload protection. Includes mounting plate. Colour White/Grey finish.